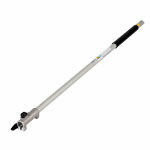 The Honda VersaTool (Kombi Tool) range is also compatible with a extension shaft to help complete those high tasks. 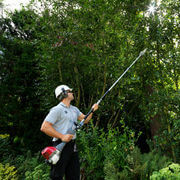 The extra reach can be very useful when using the pruner and hedge trimmers allowing you to complete tasks you couldn't before. Comes with a Honda dealer wide 4 year warranty and 12 month commercial warranty.